Pradhan Mantri Ujjwala Yojana is a social welfare scheme of Modi Government launched on 1st May 2016. The said Yojana or scheme launched in Odisha on 20th June, 2016. 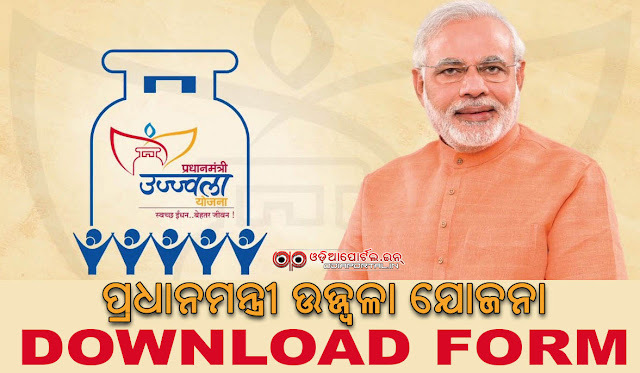 The scheme aiming distribution of LPG connections among 5 Crore BPL households by the year 2018-19. 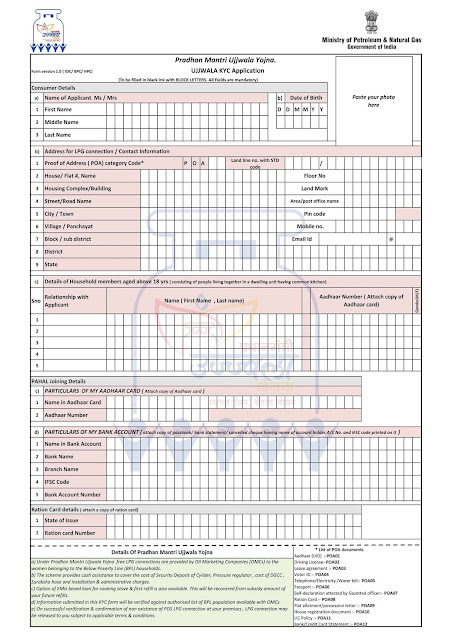 This form will work in every districts of Odisha and they are: Bargarh, Jharsuguda, Sundargarh, Sambalpur, Deogarh, Keonjhar, Mayurbhanj, Balasore, Bhadrak, Jajpur, Dhenkanal, Angul, Subarnapur, Bolangir, Nuapada Nabarangpur, Kalahandi, Kandhamal, Boudh, Cuttack, Kendrapara, Jagatsinghpur, Puri, Khurda, Nayagarh, Ganjam, Gajapati, Rayagada, Koraput, Malkangiri. This form and instructions will work on Other states like Uttar Pradesh (UP), Rajasthan, Gujarat, Uttarakhand, Bihar and Madhya Pradesh (MP). 1. The applicant’s name should be in the list of SECC-2011 data. 2. The applicant should be a women above the age of 18 years. 3. The women applicant should belong to Below Poverty Line (BPL). 4. The women applicant should have a saving bank account in any nationalized bank across the country. 5. The applicant’s household should not already own a LPG connection in anyone’s name.